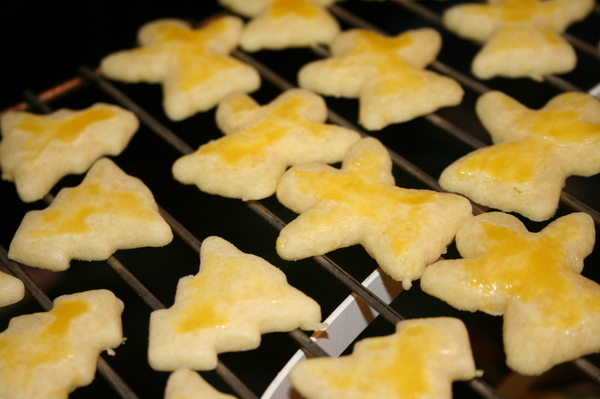 These cookies are in the same family as sugar cookies, but they are softer and richer. Very simple to make, too, and only 6 ingredients to worry about. And the rind of one lemon. I'll skip down to the unusual one first. The knife tip measurement. 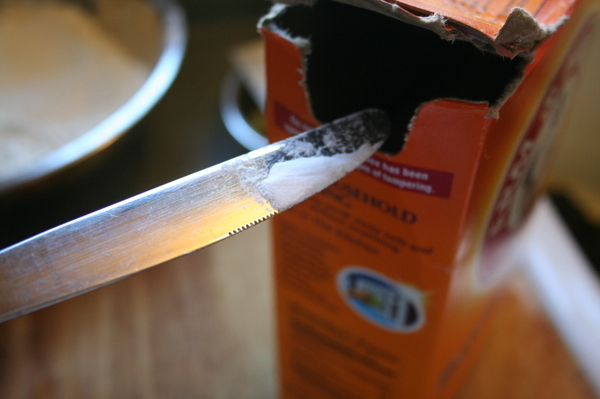 Basically it's just a little tiny bit of baking soda. Hardly any. But some. I used a regular old table knife. 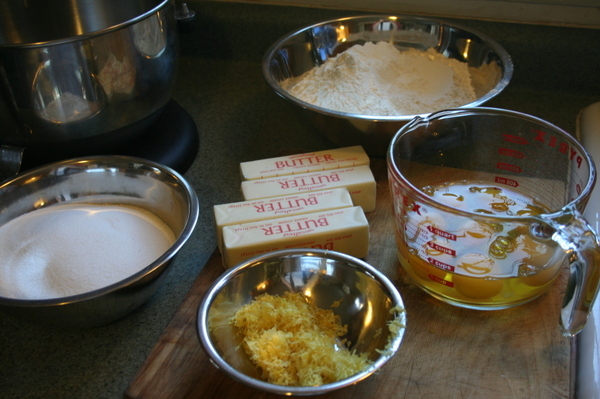 Combine the flour and baking soda in one bowl, put your butter in a mixing bowl, and have the other ingredients measured out and ready nearby. 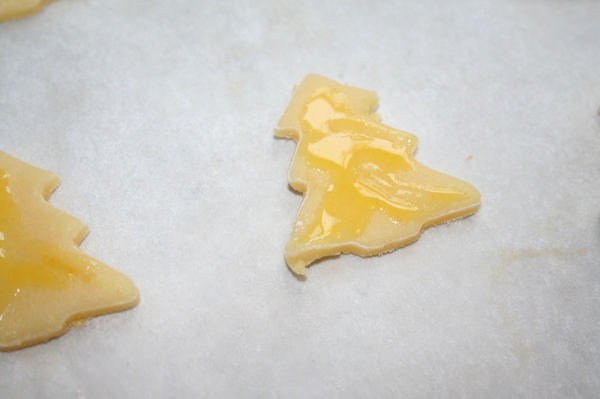 Cream together the butter and sugar until light. 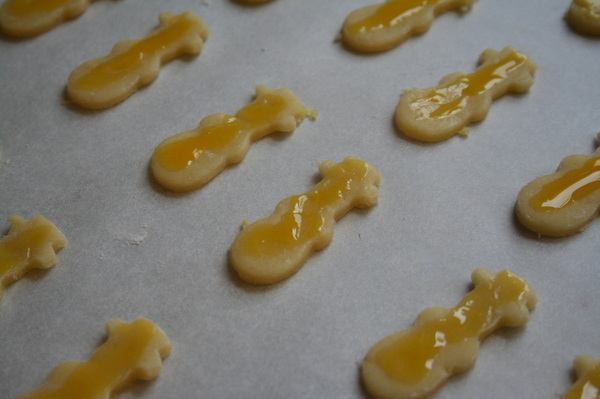 Mix in the lemon zest. Then add some of the flour mixture...half the eggs...more flour...the rest of the eggs....the rest of the flour. Mix together until just combined, but don't overwork it. Because of all the butter and eggs, this is a very VERY soft dough. You won't be able to knead it into a ball at this stage - it's way too sticky. 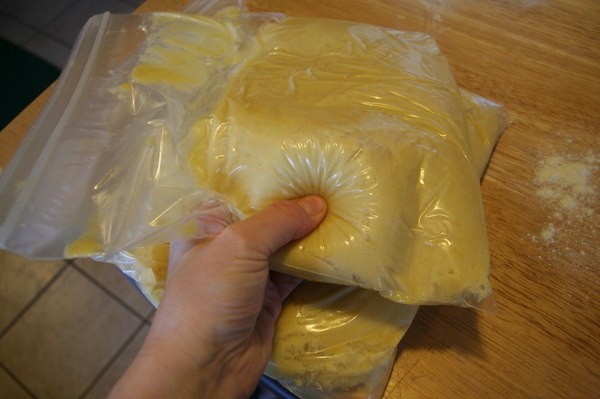 Just scoop it out of the mixing bowl and put it in a zip lock bag, press out the excess air, and put it in the fridge for at least an hour. See how squishy it is? 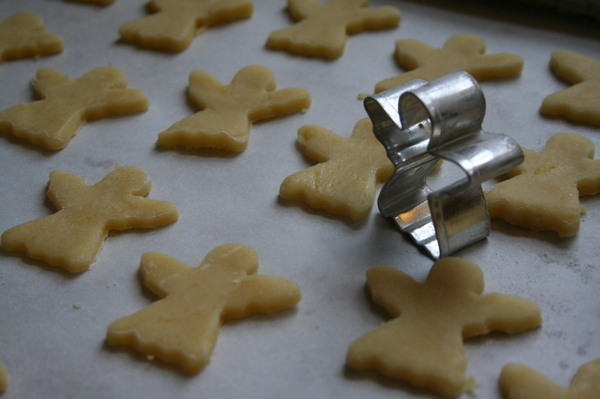 Once you're ready to roll out the dough, you'll need a good amount of flour to dust your work surface with and to prevent your rolling pin from sticking. 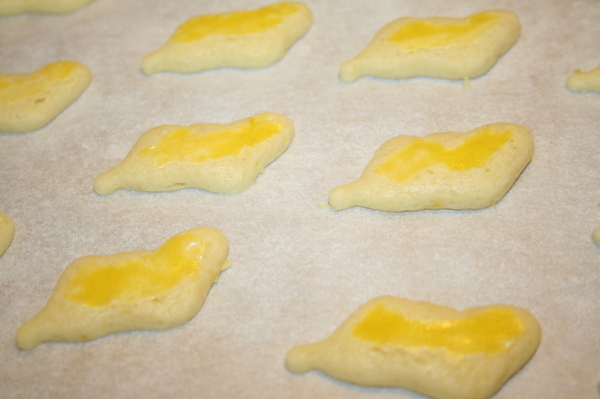 As you roll out the dough, keep picking it up off the board and tossing a bit more flour underneath. 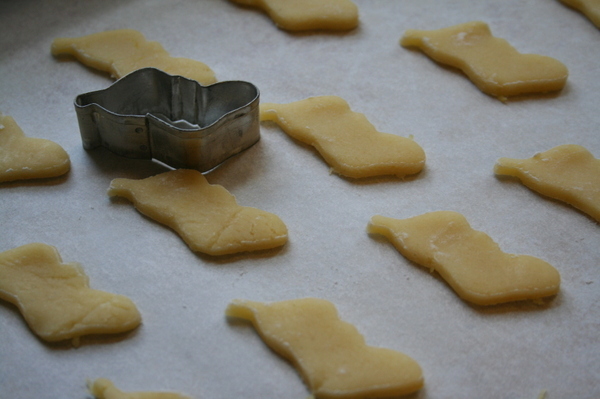 Use whatever cookie cutters you want, and bake in a preheated 300 degree (F) oven. 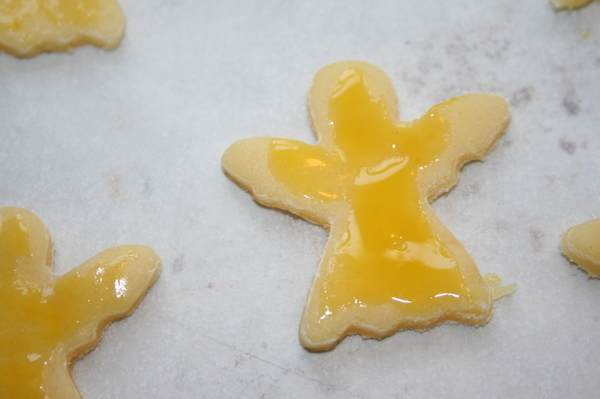 Now, when Bill's mom made these, at least as I remember it, she used these really small cutters - a snowman, a stocking, a tree, and an angel. So those are the ones I use when I make them to send out to the family. 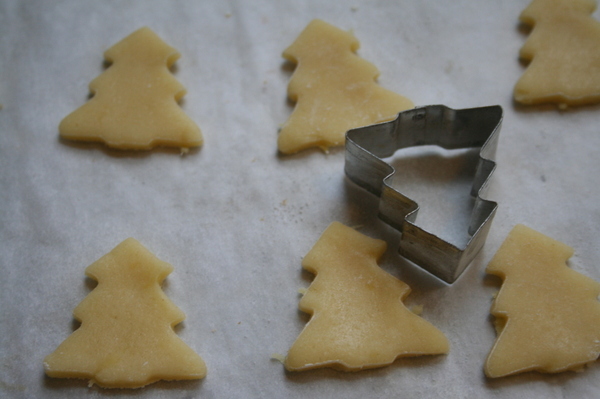 But you can use any size cutter - you'll simply need to adjust the baking time accordingly. The little ones I used here took about ten minutes. 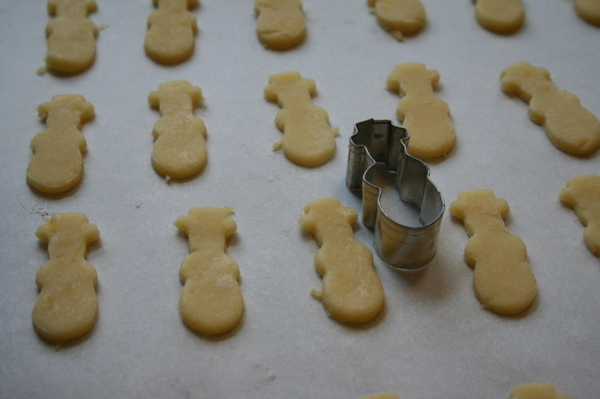 And the last instruction in the recipe is to brush the cookies with egg wash before baking. I don't remember, but I think the first time I made these, I used a whole egg mixed with a bit of water and brushed that on. But it wasn't right. It didn't LOOK right. The right way, is just to brush with the yolk. 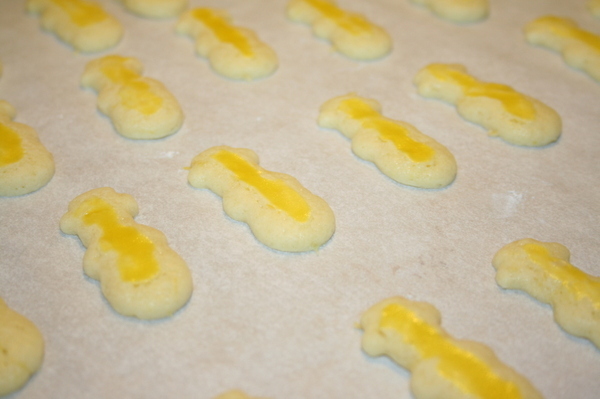 I figured that out through trial and error, and knew I'd got it right when the cookies came out of the oven with pale yellow stripes or blotches on them. Tiny, soft bites of gold. It's so very easy to eat a lot of them!